June | 2013 | Paul's Voyage of Discovery & Etc. It’s evening. Around 8 pm. The sun still hasn’t set. Aleah and I are sitting in the living room of our next Couchsurfing host, Ciaran (pronounced “Kee—rahn), with his roommates Ronan and Conor and his friends Kieran and O’Shane. There’s a huge music festival—Live at the Marquee—going on outside Ciaran’s house not more than a half-mile (or however many meters that is to them) from his doorstep. “‘Ey shall we have a listen to the music, then?” asks Ronan, setting down his Heineken and looking around the room. “Inside every adult lurks a graduation speaker dying to get out, some world-weary pundit eager to pontificate on life to young people who’d rather be Rollerblading. Most of us, alas, will never be invited to sow our words of wisdom among an audience of caps and gowns, but there’s no reason we can’t entertain ourselves by composing a Guide to Life for Graduates. I would like to take this moment to inform my e-audience that, before I went to Brazil, I’d read that speech. Several times. I thought it was funny. Now I know it was serious. From the time that I was old enough to understand it was my father’s birthplace, New Orleans has always held a special place in my heart and my imagination. Before I ever set foot in the Crescent City – or even knew it was called “the Crescent City” — my grandmother’s annual Mardi Gras packages aroused a fascination with my dad’s exotic hometown. Grandma’s annual package included three essential items: her homemade fudge (maple and chocolate), Mardi Gras beads and doubloons, and a couple weeks worth of Times Picayune front pages. Incredibly, I still haven’t been to New Orleans during Mardi Gras. I was somewhere around 6 or 8-years old when we made our first family pilgrimage from Cleveland to New Orleans to visit Grandma Barrosse and the rest of my dad’s family. We went by train. 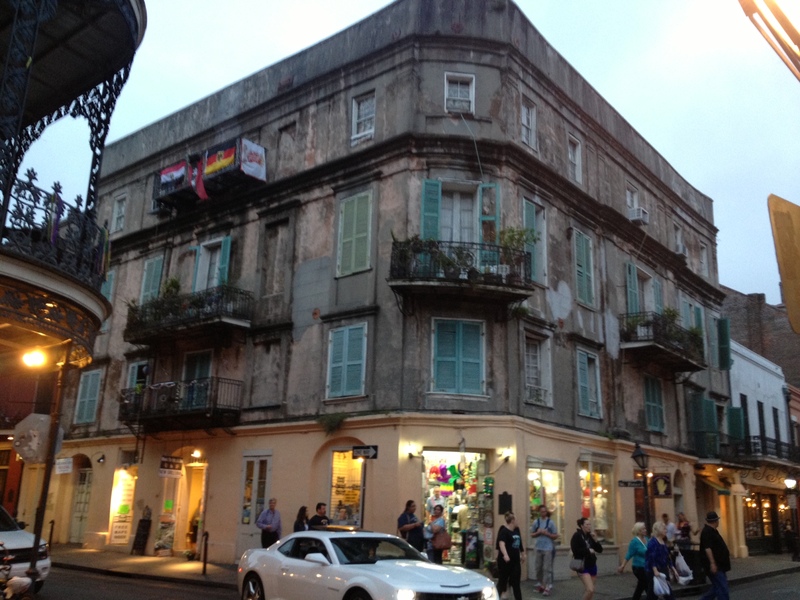 It was the biggest adventure of my young life – and the moist summer evening heat, the scent of magnolia and honeysuckle, the little Confederate flag some relative gave me, and my terror of voodoo queen Marie Laveau are still among my most cherished childhood memories. 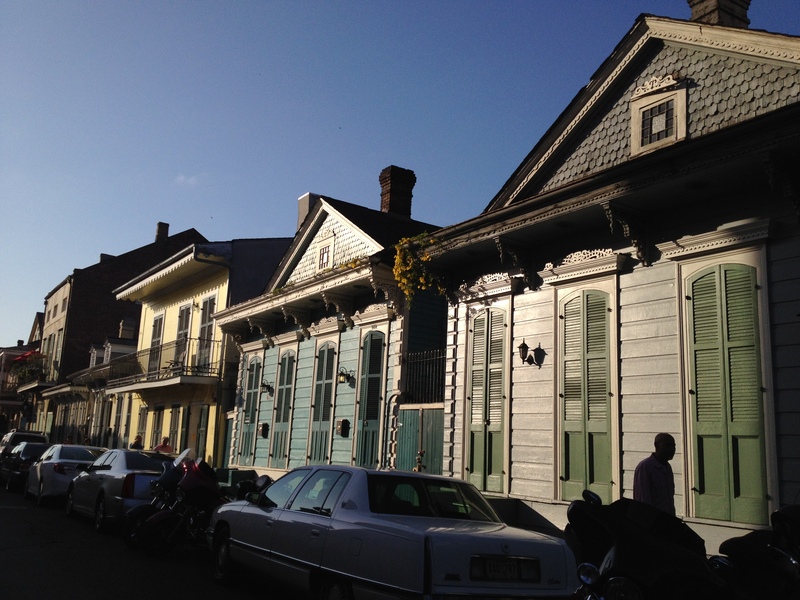 I was around 12-years old when we returned to New Orleans – this time by car. 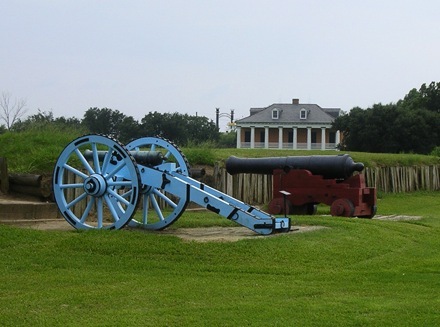 I remember that trip in sharper focus because I was old enough to appreciate taking in the wonders of the French Quarter, City Park and the Chalmette Battlefield, site of the 1815 Battle of New Orleans. That second trip was also memorable because of my determination to capture green anole lizards (the dime store chameleons of my youth) in my Grandma’s backyard. I captured more than a dozen of them among the honeysuckle vines before my grasping hand, plunging into the vines after my prey — got stung by three wasps at once. Though they laid me low for a full day, I survived those stings – and most of my lizards survived the drive home to Cleveland. 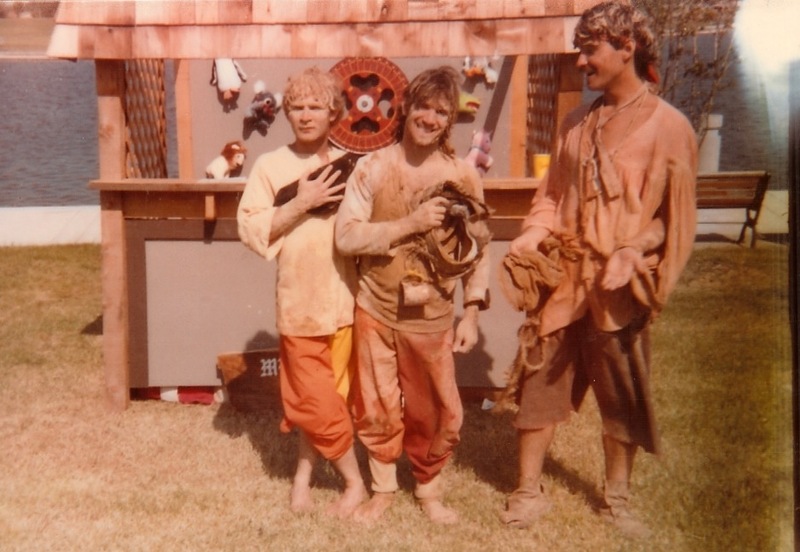 A couple decades later, I returned to New Orleans for two years in a row to perform at a Renaissance faire in the suburb of Metairie. 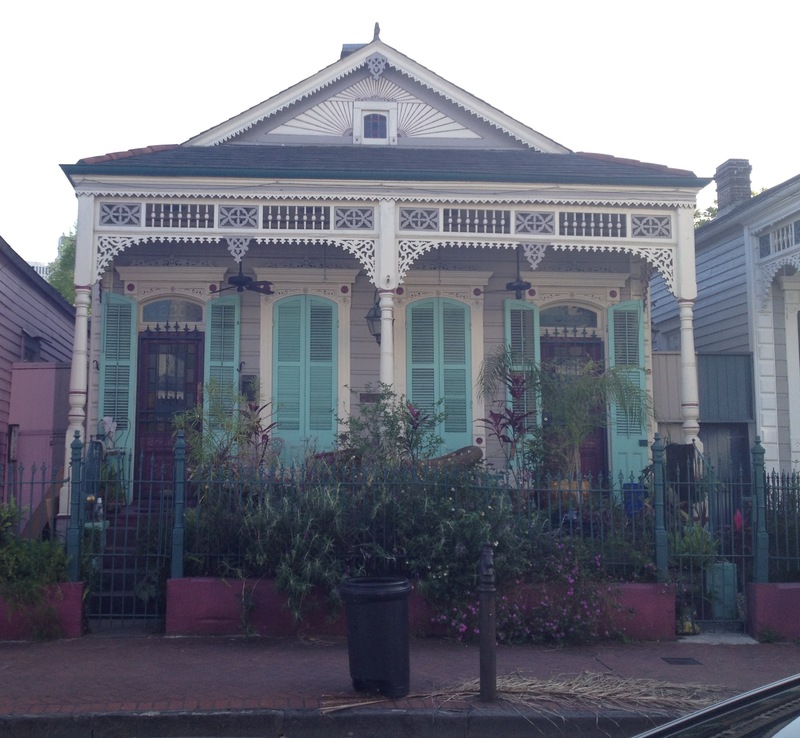 Those two working trips to the Big Easy were a chance to reconnect with my nonagenarian grandmother, my aunts and uncles, and my father’s amazing hometown with its unique history, music, food and culture. 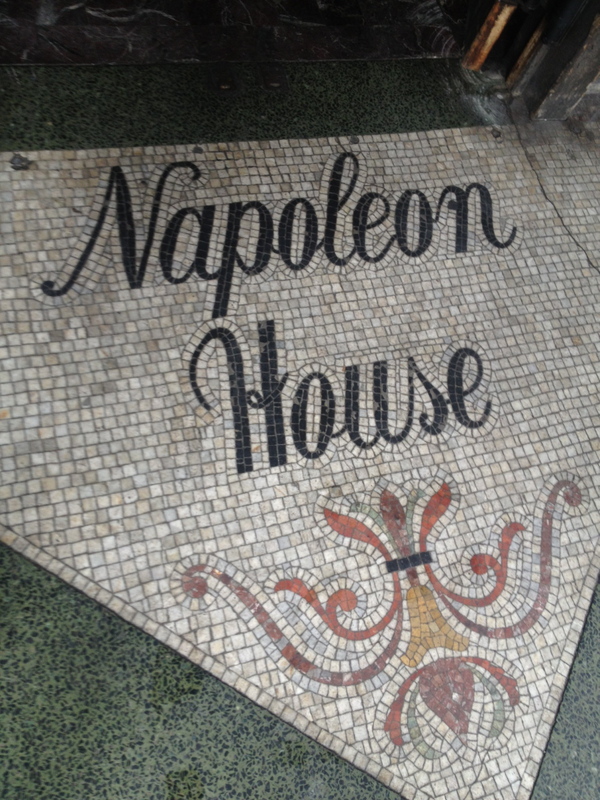 With Victoria at Napoleon House waiting for a Pimms Cup. 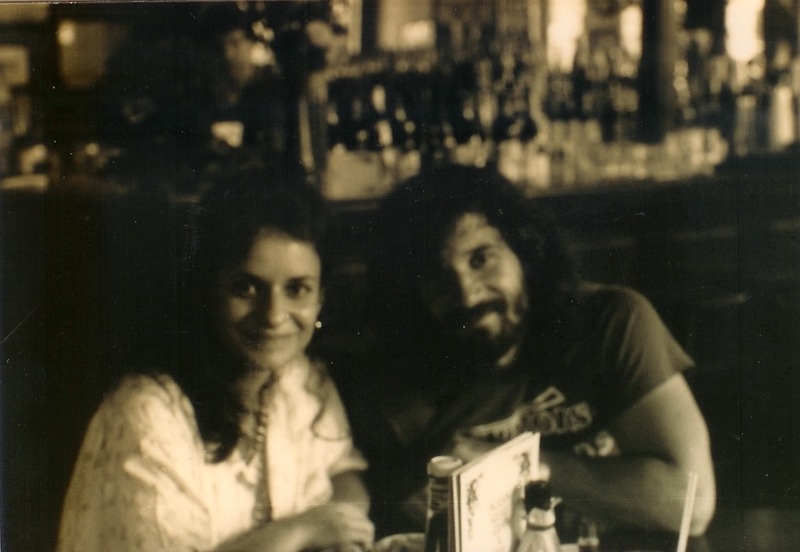 On the second trip, in 1985, Victoria (now my wife) joined me to work at the Renaissance Faire, meet the Barrosse clan, and enjoy the pleasures of the French Quarter. 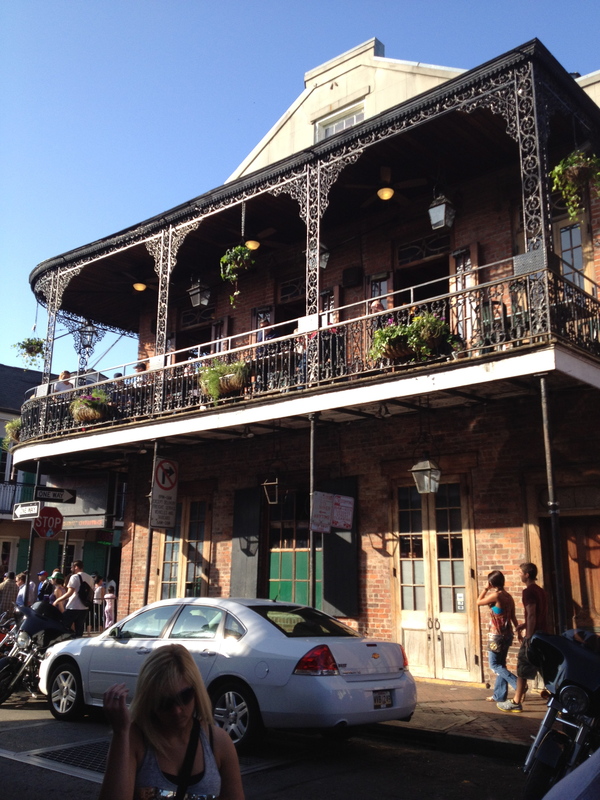 But, until this year, I’d never taken any of my three daughters to New Orleans. My youngest daughter, Evangeline (a good Louisiana name) applied to Tulane University in New Orleans – and this spring, we were delighted when she was accepted with an academic scholarship. So, a 3-day father-daughter trip to my dad’s hometown was in order. 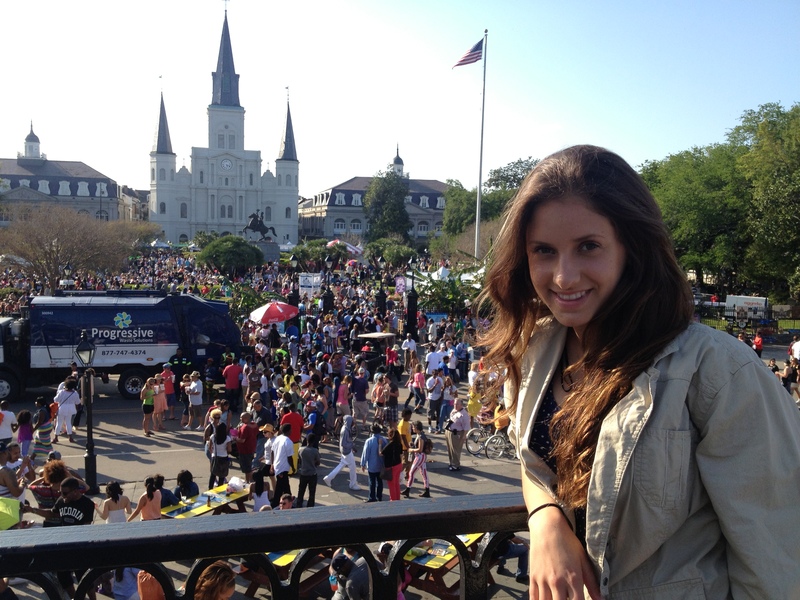 The choice was between UCLA and Tulane – and this trip would help her decide. 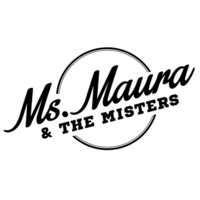 Eva is a songwriter – and New Orleans is a musical melting pot unlike any other, where jazz, blues, big band, marching band, rock and roll, Zydeco, and all the rhythms of the Caribbean and Mississippi Delta come together in the streets, restaurants and bars. 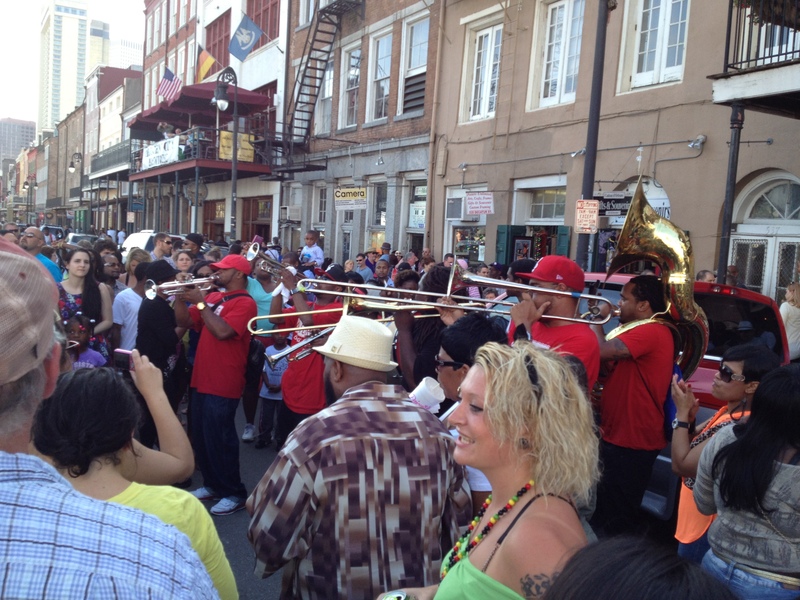 On the day we arrived in town, we were delighted to discover that the last day of the French Quarter Festival was still underway and the Quarter was jammed with musicians and bands on nearly every corner — including this dynamic face-off between brass bands on Decatur Street. 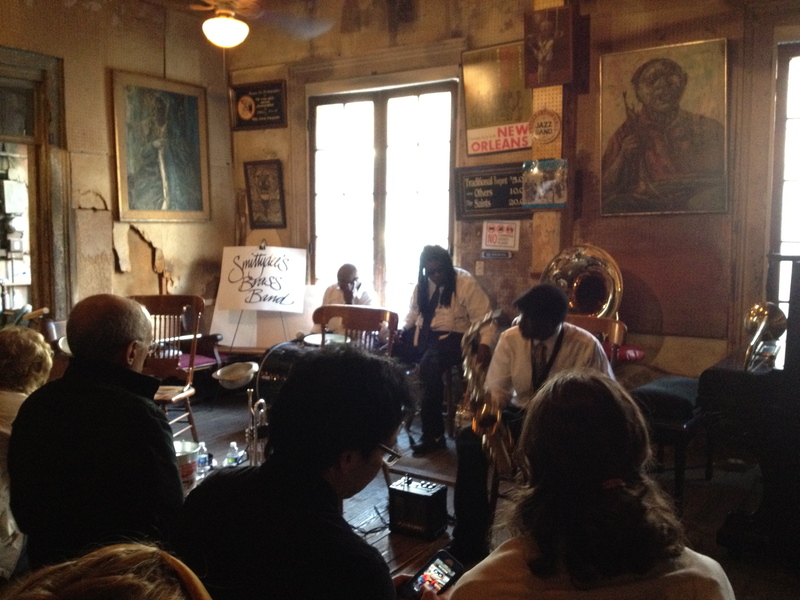 We also went to Preservation Hall. My daughters had seen the Preservation Hall Jazz Band in concert at The Gainey Vineyard in Southern California’s Santa Ynez Valley – but to see these wonderful musicians playing their hearts out as we sat on the worn wooden floor of that modest, intimate musical temple in the French Quarter is a whole different experience. 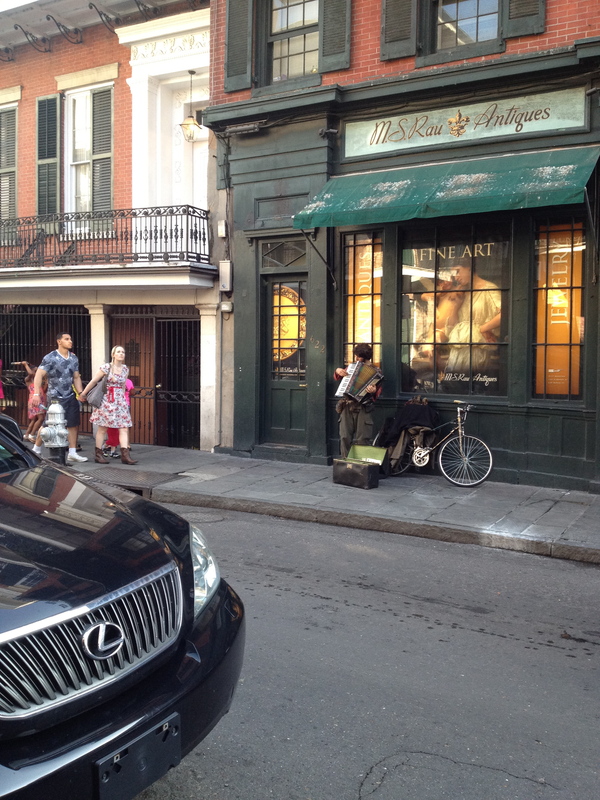 There’s music on just about every block of the Vieux Carre. And then there’s the food. 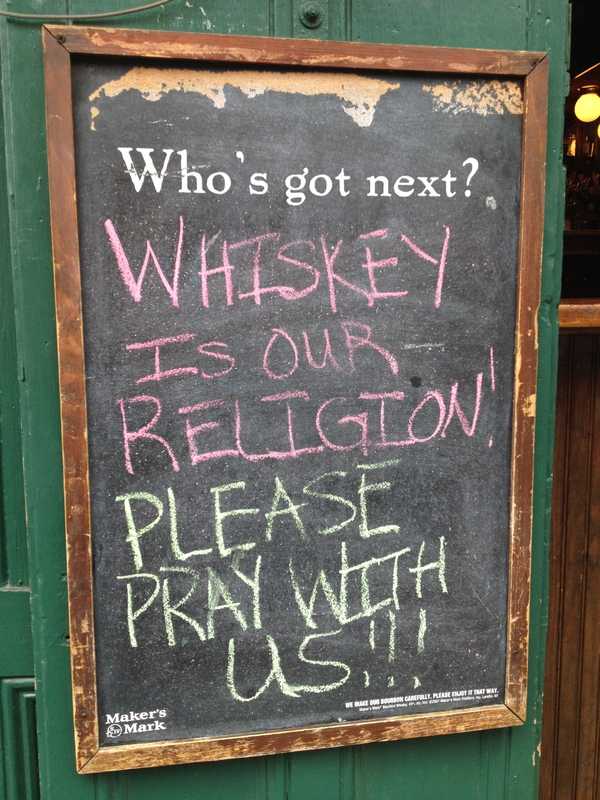 Nobody should visit New Orleans on a diet. 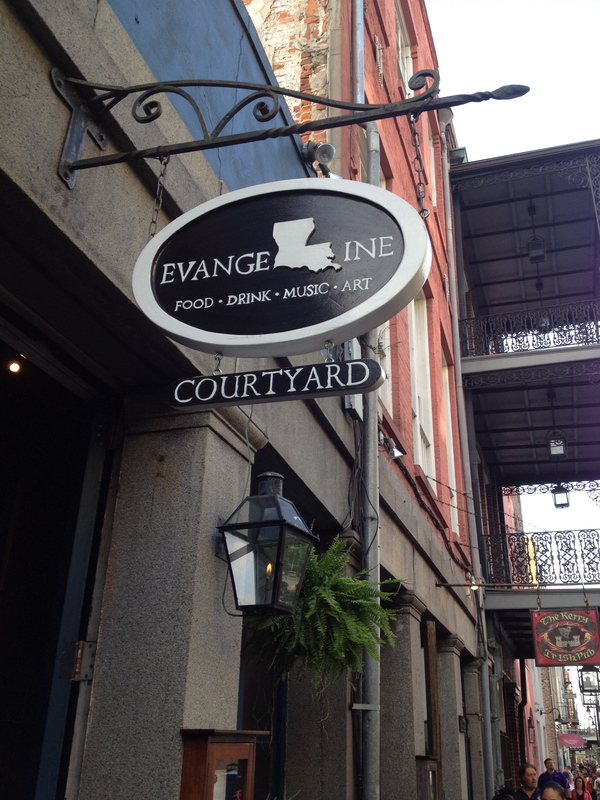 Our first restaurant experience called out to us from its sign: Evangeline. The food at Evangeline was superb. 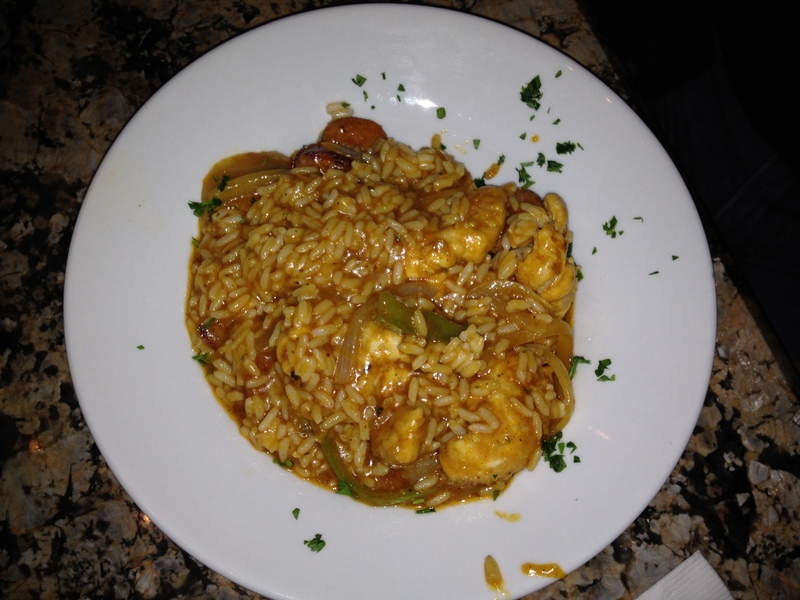 Jambalaya at Evangeline. Perfectly wonderful. 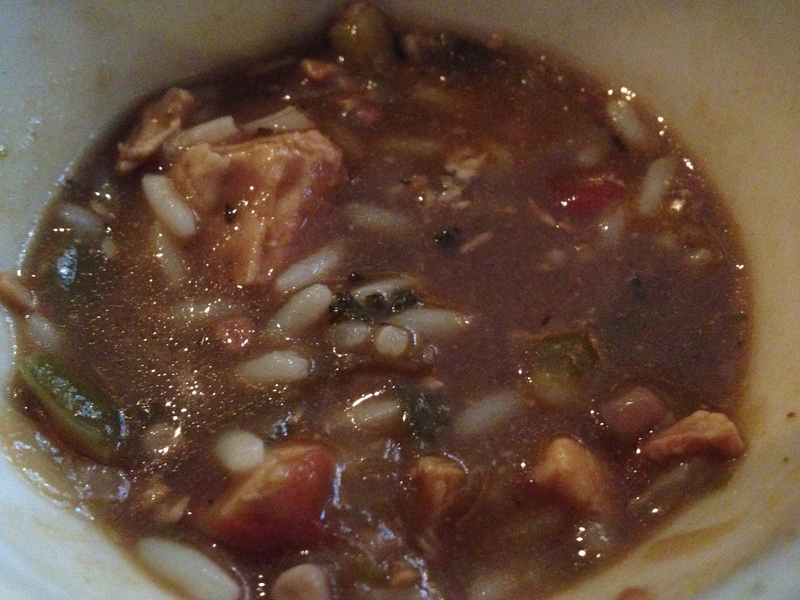 Gumbo at — where else? — The Gumbo Shop. 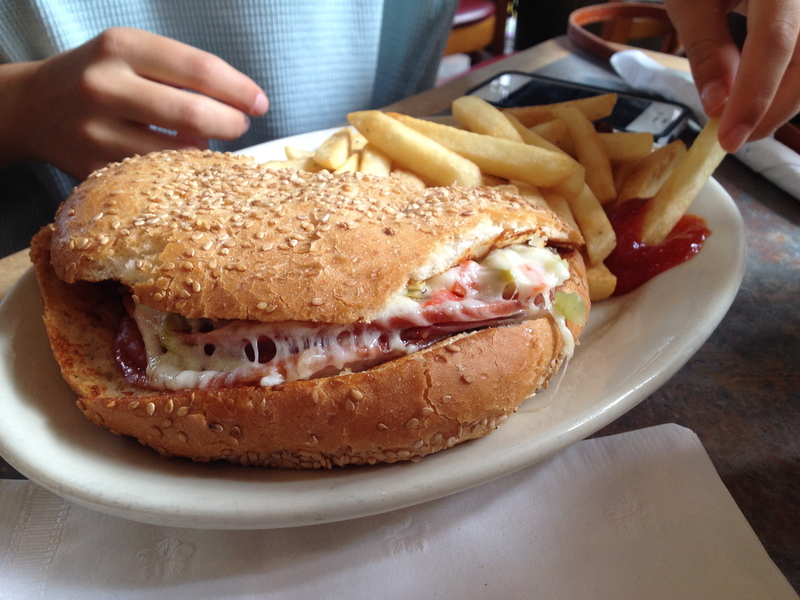 Eva enjoyed her muffaletta on Decatur Street. 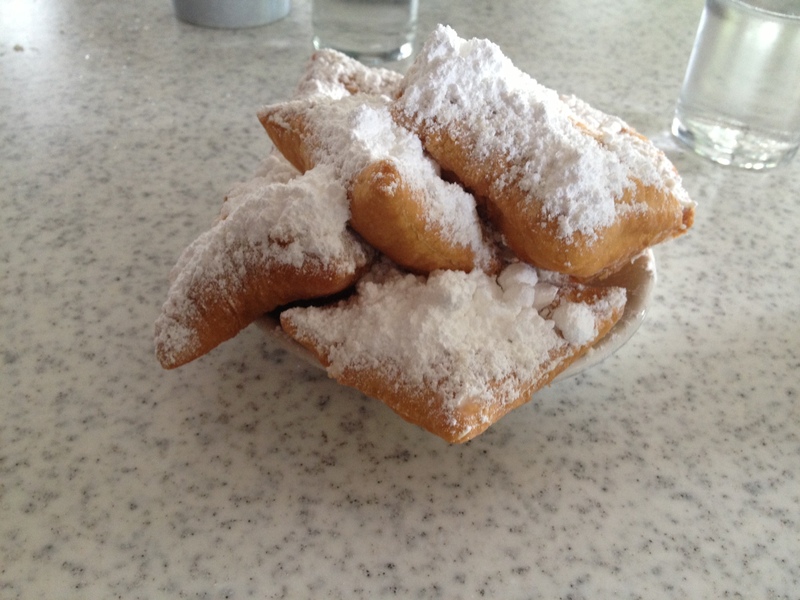 And, of course, we had to have our beignets at Cafe Du Monde. And I ain’t been there yet. The second day of our trip was the reason we were in New Orleans in the first place: my daughter’s visit to Tulane University. Tulane is a beautiful place. 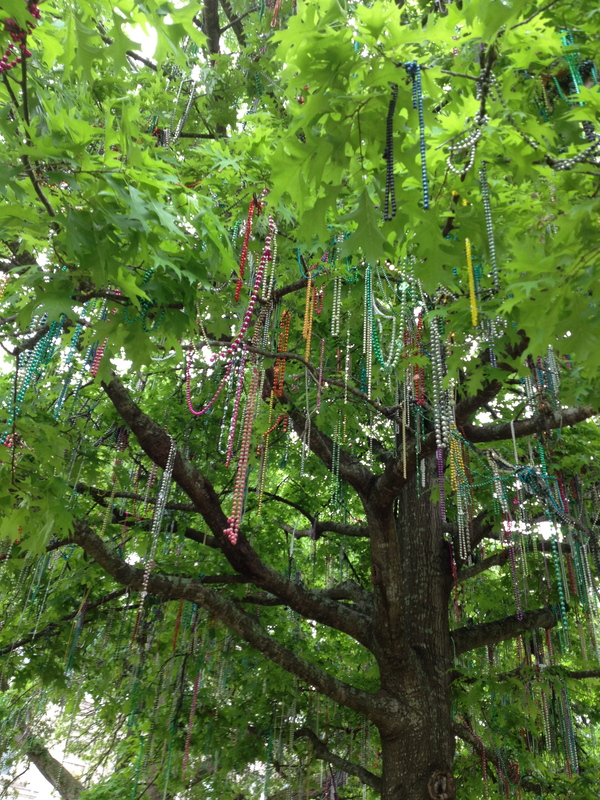 I could imagine Eva attending class among the spreading trees, draped with Mardi Gras beads. Perhaps she could even take James Carville’s political science class someday. 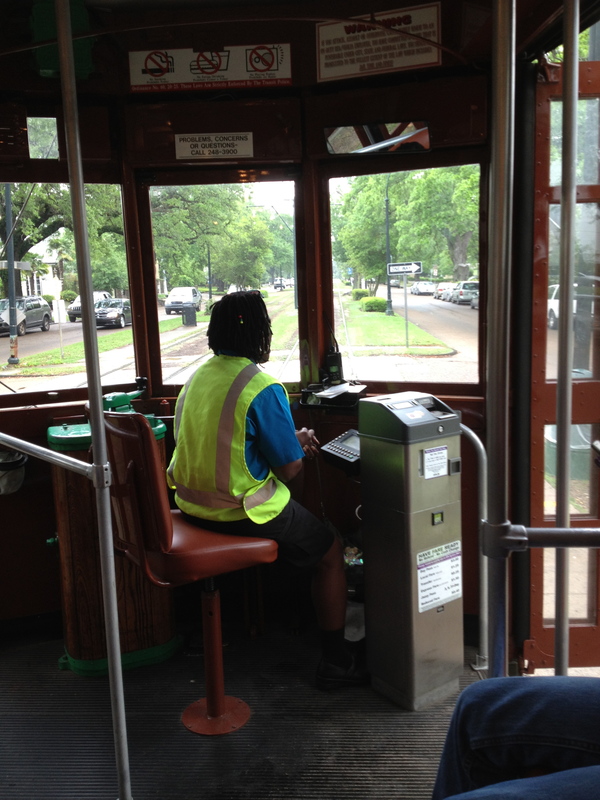 On weekends, she could take the St. Charles street car to the French Quarter and soak in music and culture that would inform her songs. 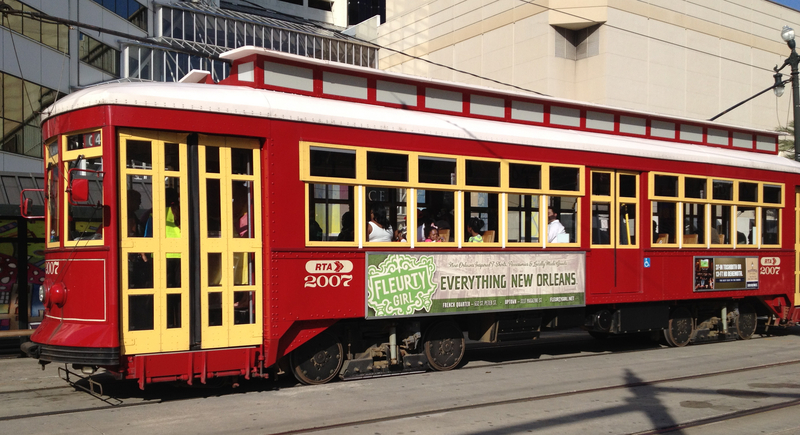 After our visit to Tulane we hopped that street car and returned to the French Quarter. The streets weren’t as crowded as they’d been the day before for the French Quarter Festival — but the the mood was still celebratory and the music was still playing. 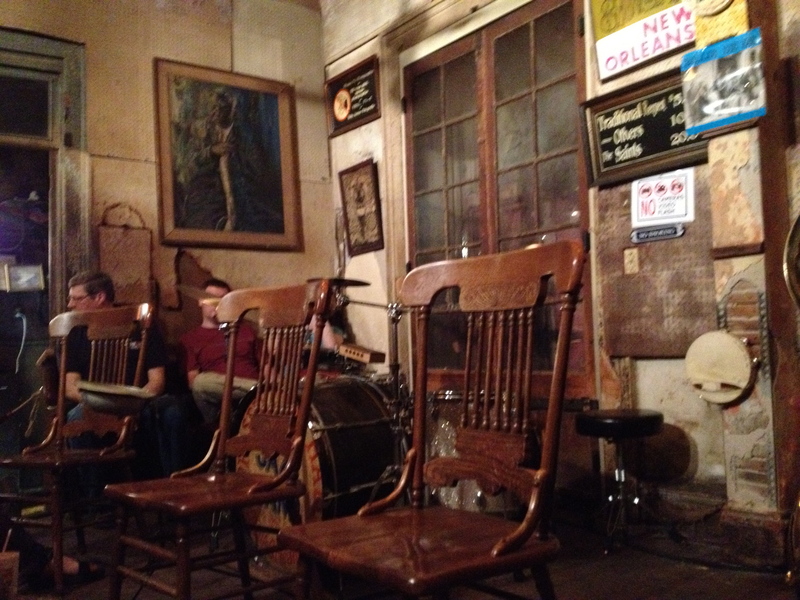 Here, Eva is caught up in the New Orleans blues and the fancy steps of a veteran swing dancing devotee. Dad and daughter at UCLA. Ultimately, my daughter Eva chose to attend UCLA instead of Tulane. (Go, Bruins!) She’s a California girl — and we’re perfectly happy with her choice. 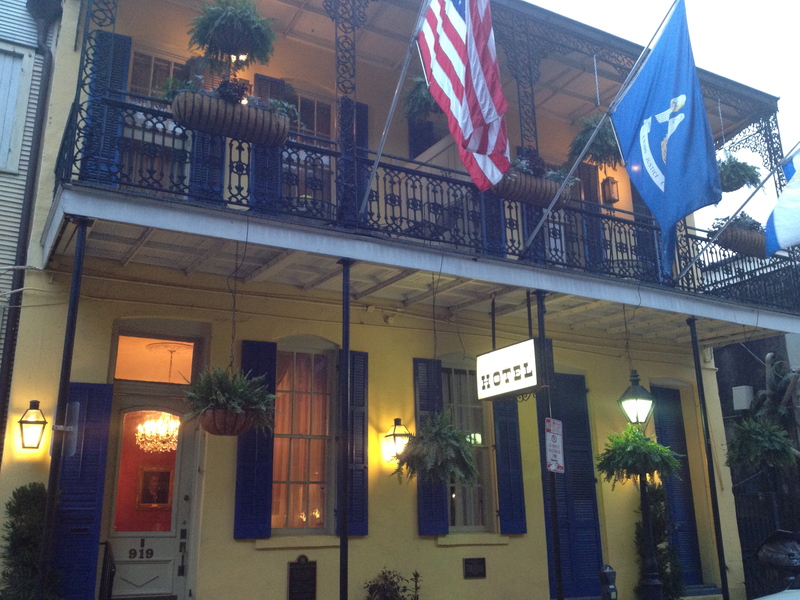 But on our father-daughter trip she fell in love with New Orleans. And my love affair with my dad’s city was renewed. 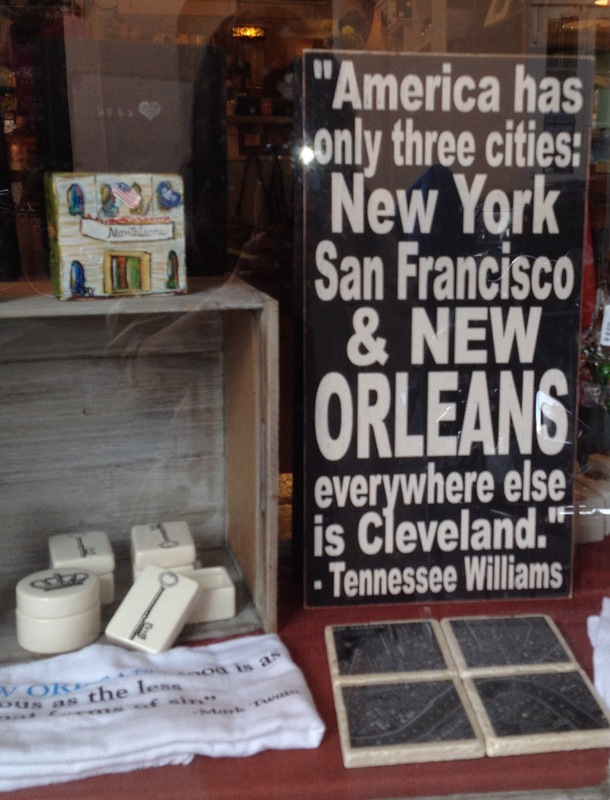 We’ll be back in the Big Easy, the Crescent City, the Land of Dreams. 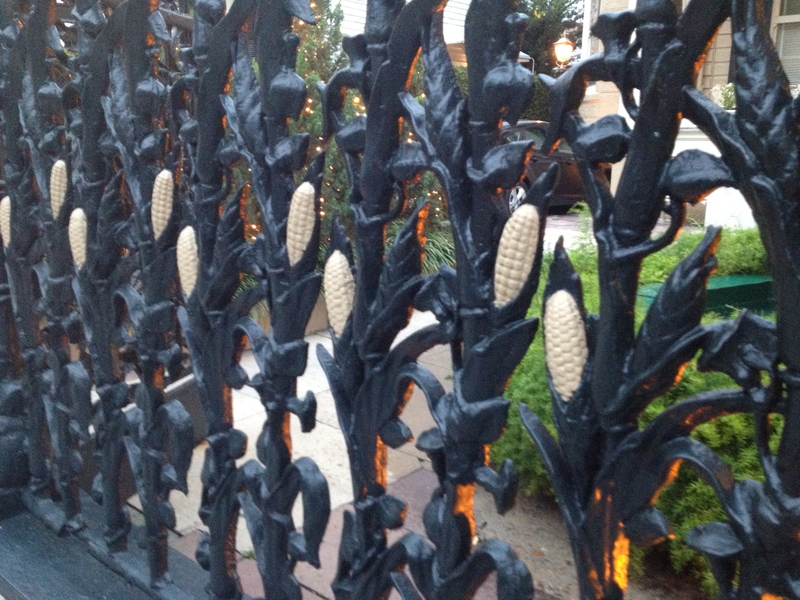 And New Orleans – as it has for centuries – will be waiting to fascinate and delight. 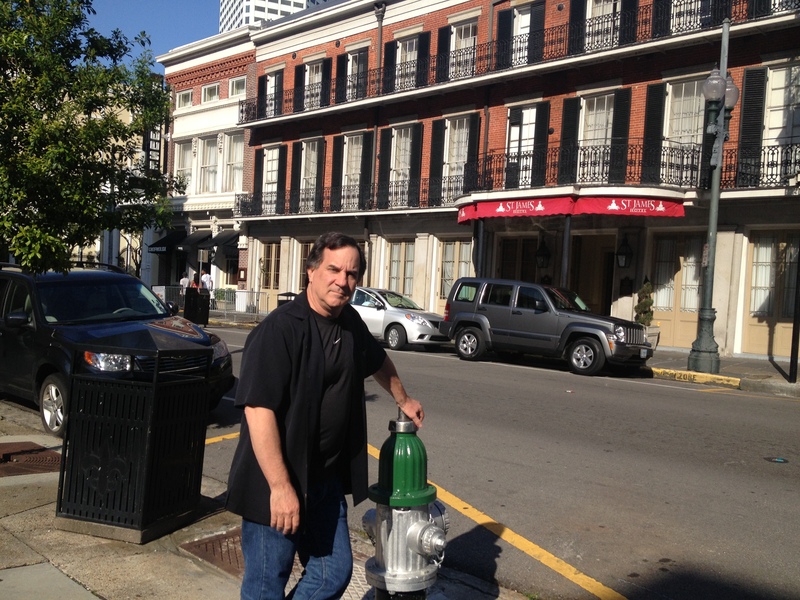 Dad poses across the street from our temporary home, The St. James Hotel on Magazine Street. 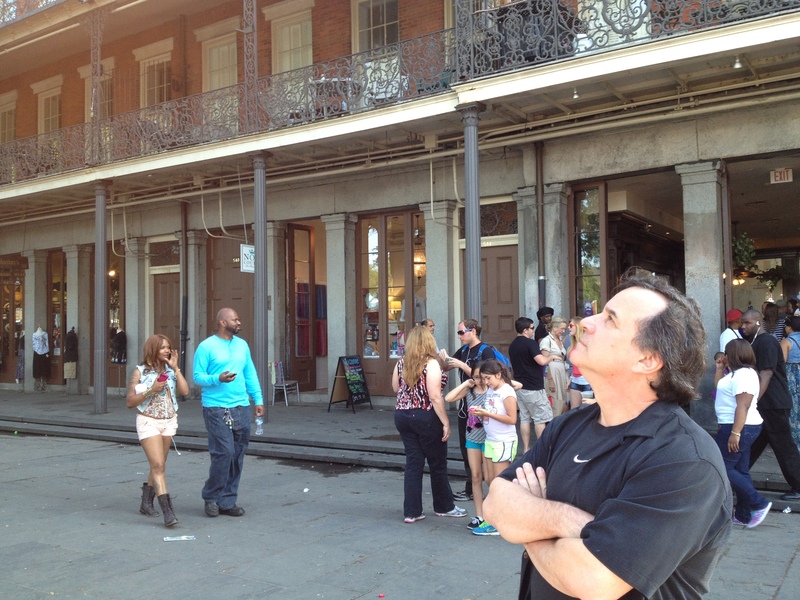 Dad gazes upward toward Jackson Square in the French Quarter. 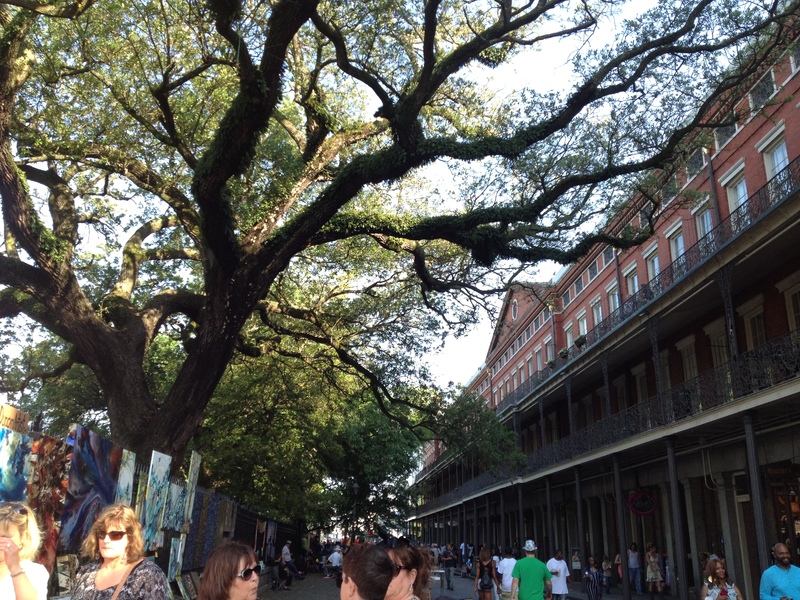 Magnificent trees rise above the artwork hanging on the Jackson Square fence. 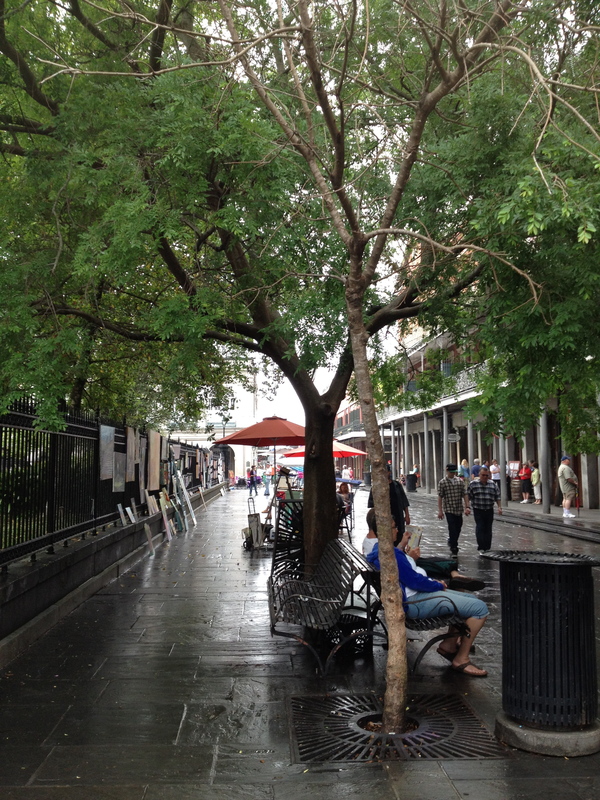 The street scene on the east side of Jackson Square. Local legend has it that Napoleon Bonaparte’s friends provided this house for his exile. Eva in the courtyard of Napoleon House. 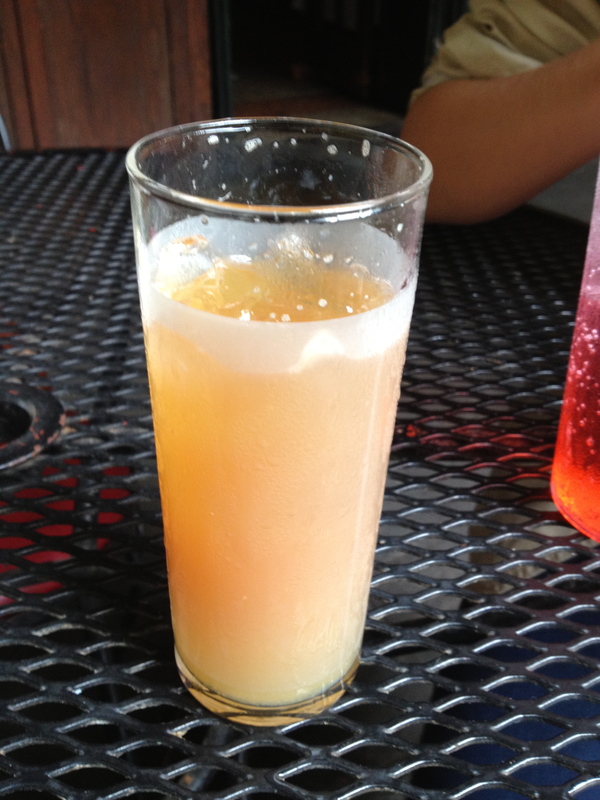 Her dad’s Pimm’s Cup is on the way. The aforementioned Pimm’s Cup. I already ate the traditional cucumber slice. 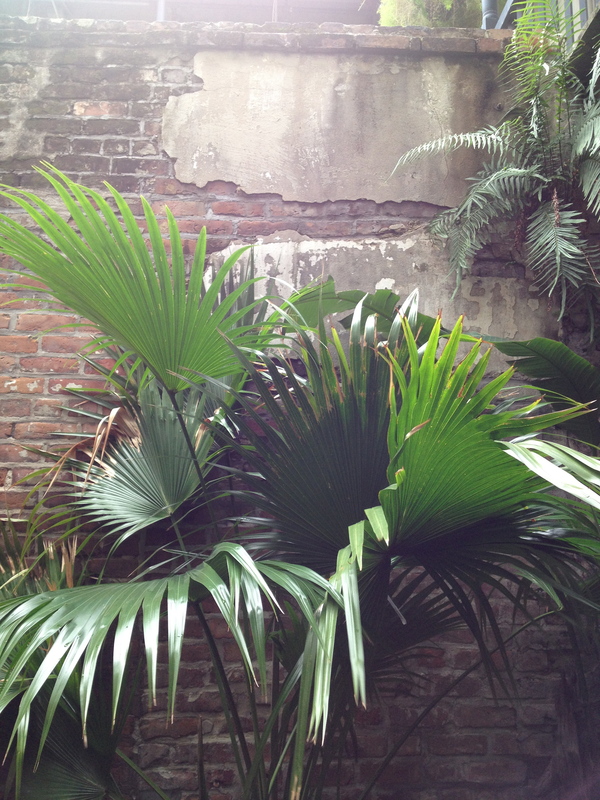 Classic, lovely New Orleans decay in the Napoleon House courtyard. 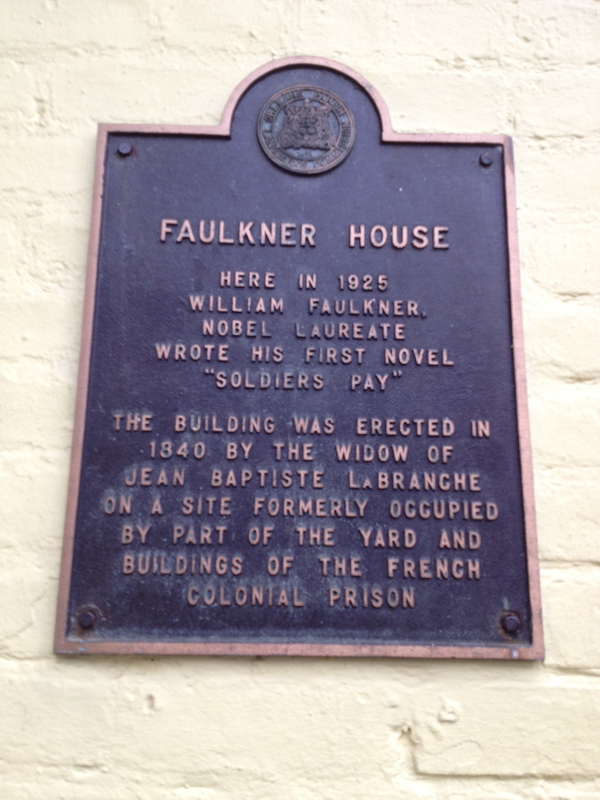 Eva in front of the house where William Faulkner lived and wrote while in New Orleans. Eva poses in the gaudy costume of a Mardi Gras Indian. 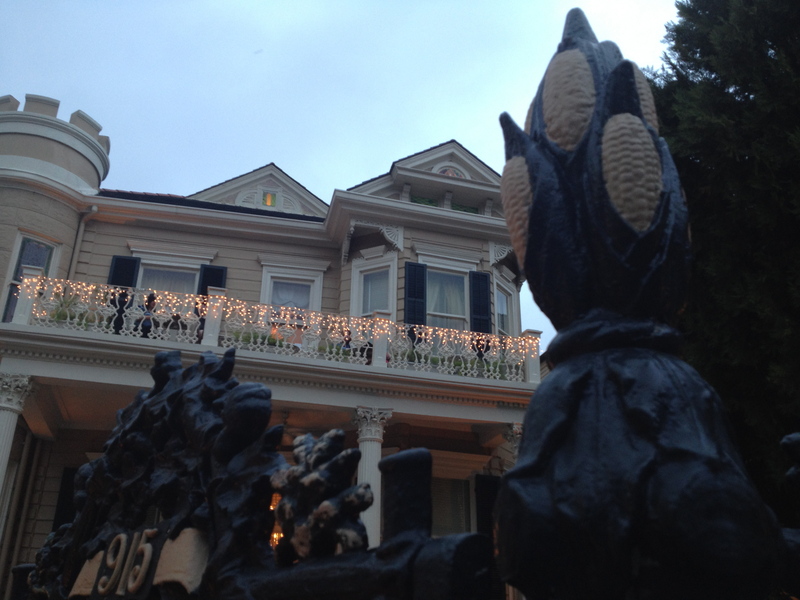 The French Quarter House with the famous cornstalk gate. 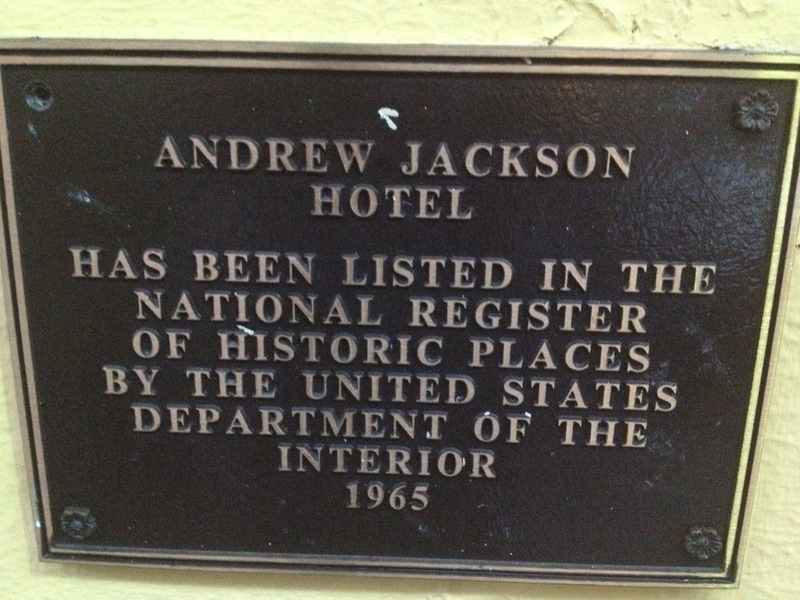 The Andrew Jackson Hotel — where Victoria and I stayed in 1985. 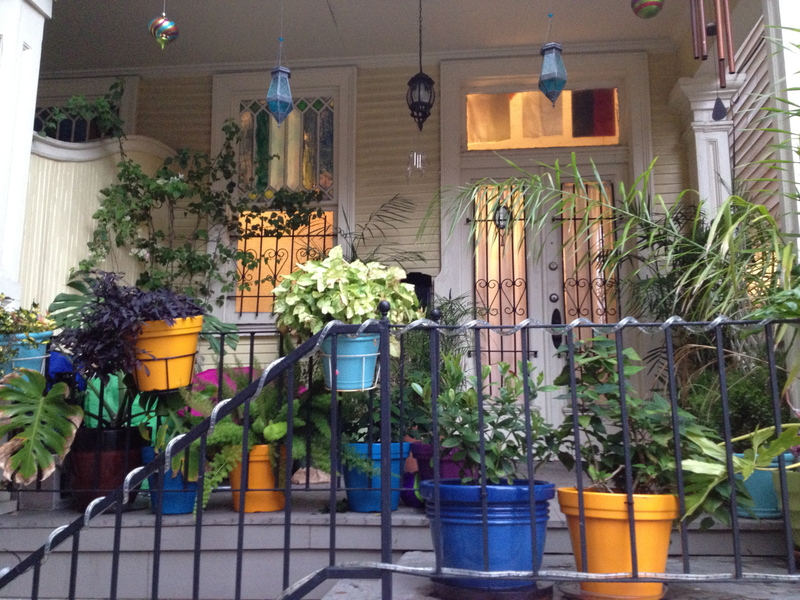 Typical French Quarter architecture and porch gardening. 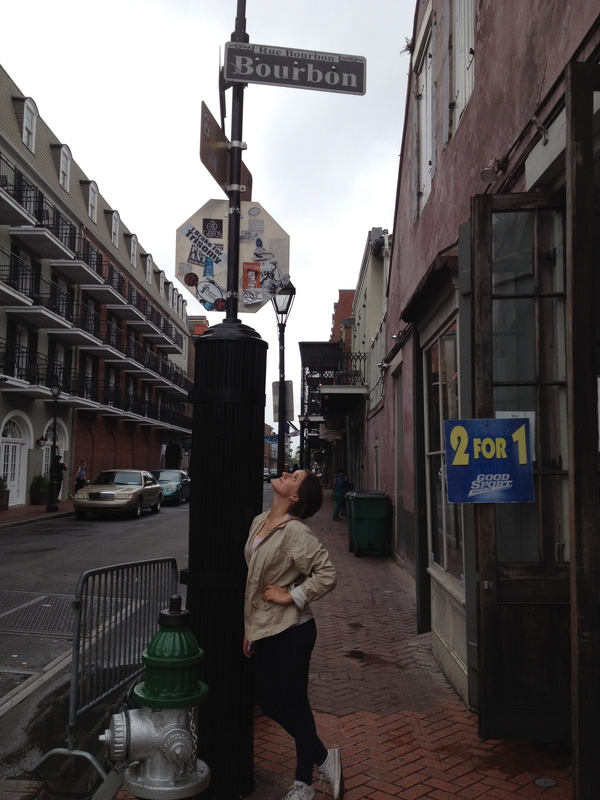 Evangeline looks at home in the Vieux Carre. 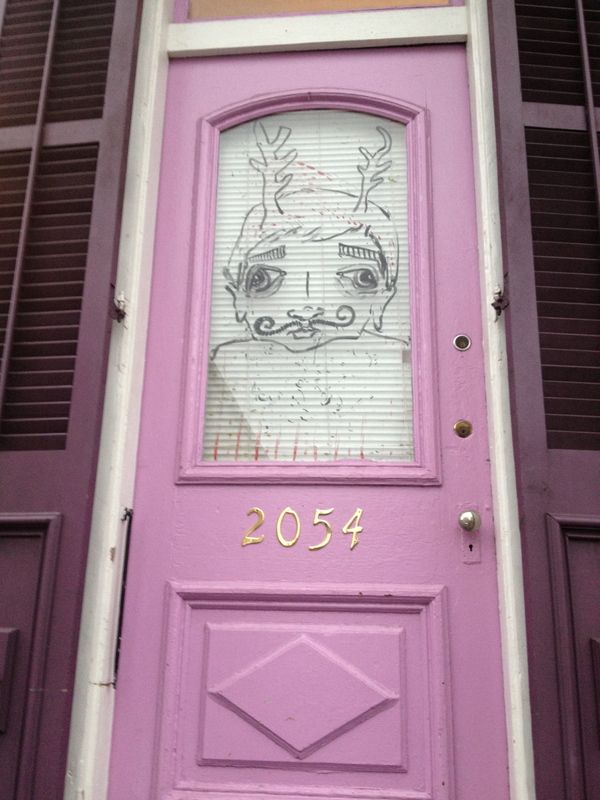 New Orleans is a taste of Old Europe in the New World.